My oldest son loves to say "science is everything" and for younger kids (ages 1-6) each day is an opportunity to discover the science in everything around us. 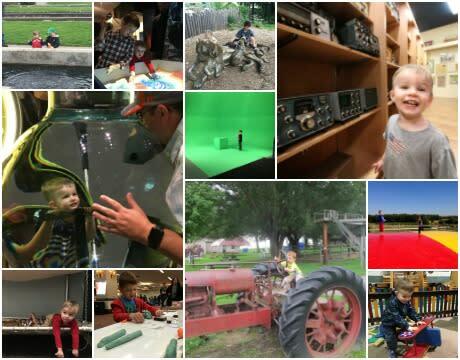 Rochester and the Finger Lakes is a great destination for families with young kids looking to explore science and learn how much fun it can be. Join us on an itinerary designed for families with younger kids looking to discover science in the Rochester area. Your Adventure With Science Begins. Okay so the coffee is for the grown ups...but how cool it is to watch the coffee being made right in front of you using specialty techniques and tools that are part art and part science . 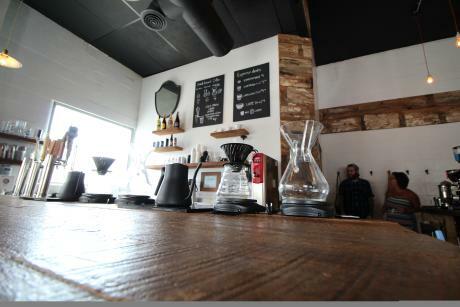 Rochester has a number of businesses doing amazing things with coffee including, Fuego, Joe Bean Roasters, Ugly Duck Coffee and Glenn Edith. Glenn Edith (pictured above) offers a great breakfast menu and since it is in the beautiful Park Avenue Neighborhood, the family can enjoy a nice stroll (and maybe some shopping) with breakfast. The George Eastman Museum is the home of George Eastman the founder of Kodak and the inventor of the flexible film camera. Because of his passion for photography and his clever inventiveness, Mr. Eastman was able to bring photography to the masses with cameras that were affordable for everyone. 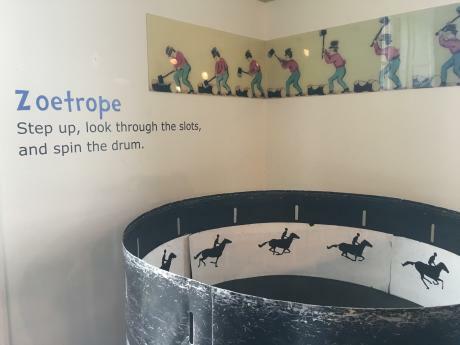 At the museum kids can visit the Discovery Room where they will learn about how photography works, see a camera obscura, or play with a giant zoetrope. 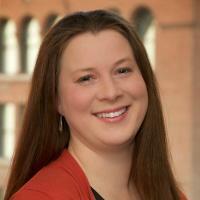 Check out the Dryden Theatre schedule ahead of time for their family film series. Compete your visit with a stop at the gift shop. The Antique Wireless Museum is a volunteer run museum full of surprises. It also full of radios, televisions, transmitters and other forms of communication technology. If your kids are like mine, then they love to push buttons (literally and figuratively), so they will love the command center style replica radio station with real radio recordings and antique equipment. 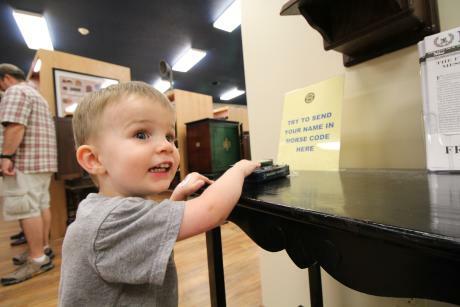 Kids can try their hand at spelling in Morse code, watching volunteers communicate with others all over the world, and see how much technology has changed over a short span of time. Hours are limited to Tuesdays and Saturdays and kids are free. 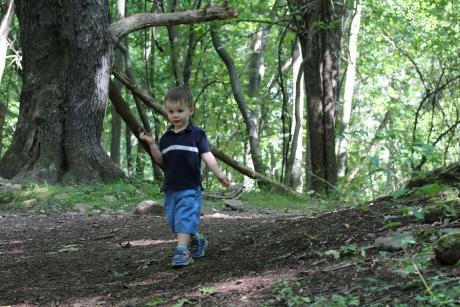 Flora (plants) and Fauna (animals) live in a delicately balanced eco-system, and children can explore this eco-system on the Bird Song Trail at Mendon Ponds Park. Signs posted along the trail describe the different plant life in the park and kids can stop along the way at little animal themed shelters. Bring along some bird seed and there is a very good chance a feathered friend will eat it right out of your hand. The park also features a natural playground where kids can climb over, under, and through giant tree trunks. Who says science is boring? Everything that is fun is possible thanks to science and this especially true at an amusement park like Seabreeze. What makes thrill rides so thrilling? Gravity and centripetal force. 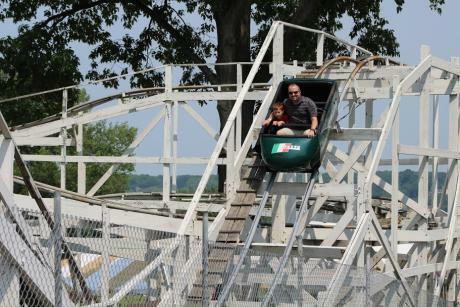 Every ride is carefully engineered to take advantage of these natural forces in a safe and fun way. Do my kids always understand the forces at work? Maybe not, but the smiles on their faces means the science is working. There are lots of of special events throughout year that celebrate science and innovation in Rochester and the Finger Lakes. 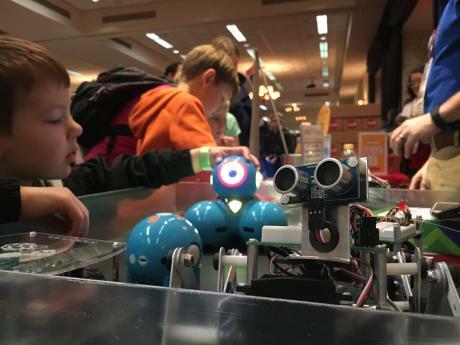 Plan ahead for your next visit around these events that let kids try their hands at science in ways that will expand their understanding of the world around them and get them excited about STEM (Science, Technology, Engineering and Math). I like to let my kids experience and try a little bit of everything. They are never too young to discover what their passions might be. Maybe it will be science, history, art, sports, outdoor adventures or something yet to be invented. We&apos;ll never know unless we try. The Greater Rochester region provides visiting families such a huge array of experiences that are designed for kids and affordable for everyone that it&apos;s the perfect place to visit again and again. We hope we have inspired you to visit and to try everything you can. Pictured above: Corning Museum of Glass, Rochester Museum & Science Center, Seneca Park Zoo, Stokoe Farms, Long Acre Farms, Antique Wireless Museum, Glenn Curtiss Museum, Imagine RIT, Rochester Mini Makers Fair and the Fish Hatchery.